The touch judges raise their flags as Billy Twelvetrees kicks the conversion. Ben Morgan sets up the try. Incisive passing by Gloucester is finished off by Charlie Sharples, as he goes over for the try. The defensive line has been broken as Charlie Sharples goes through the gap. 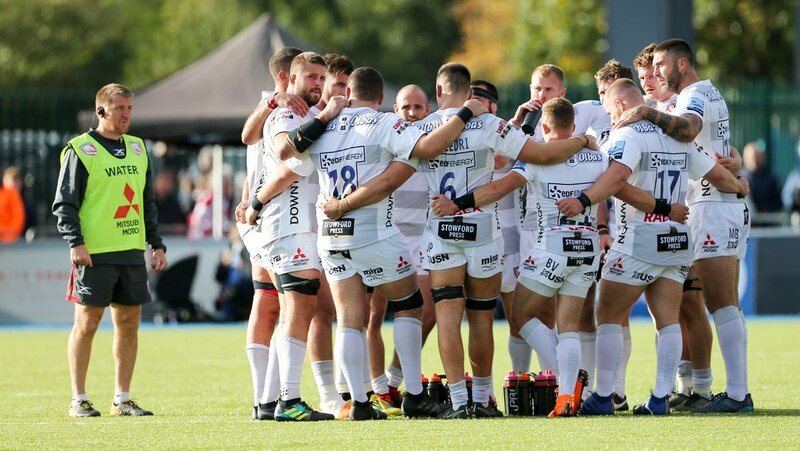 Saracens have won 120 rucks so far this game. What a run here by Charlie Sharples as they gets over the gainline!. Billy Twelvetrees hits the left post with the conversion, failing to add the two points. Silky skills by Gloucester ends with a try for Mark Atkinson. Mark Atkinson makes the break as the defence re-enacts the parting of the red sea. Saracens sub Nick Tompkins comes onto the field. Brad Barritt departs for Saracens. Owen Farrell adds the two points for Saracens. Spellbinding play by Liam Williams is finished off with a try. Fabulous play by Saracens has led to Liam Williams being able to wriggle through a gap. 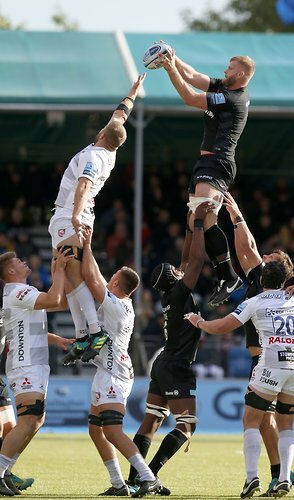 A wonderful passing move by Saracens is finished off by Alex Lozowski. Michael Rhodes has made 10 good tackles so far this game. Trouble here as Tom Hudson breaches the defence. Tom Hudson comes on for Gloucester. Jason Woodward leaves the field. 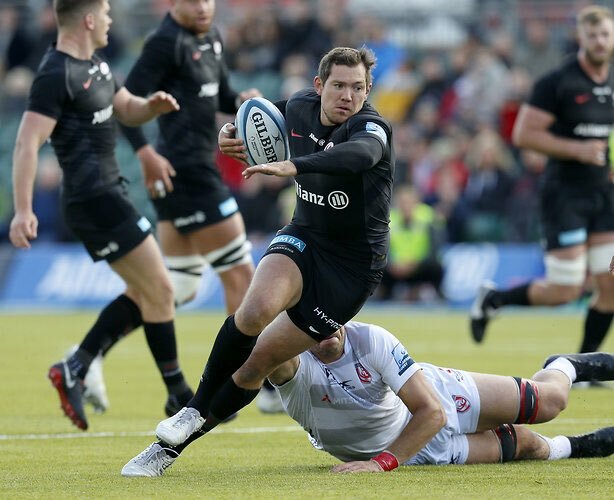 This is dangerous for the defence as Sean Maitland bursts through to advance the Saracens attack. What a tackle there by Ben Morgan as he saves a certain try!. A gap opened in the defence and Alex Lozowski took full advantage. Saracens decide to make a substitution, with Ben Spencer getting some game time. 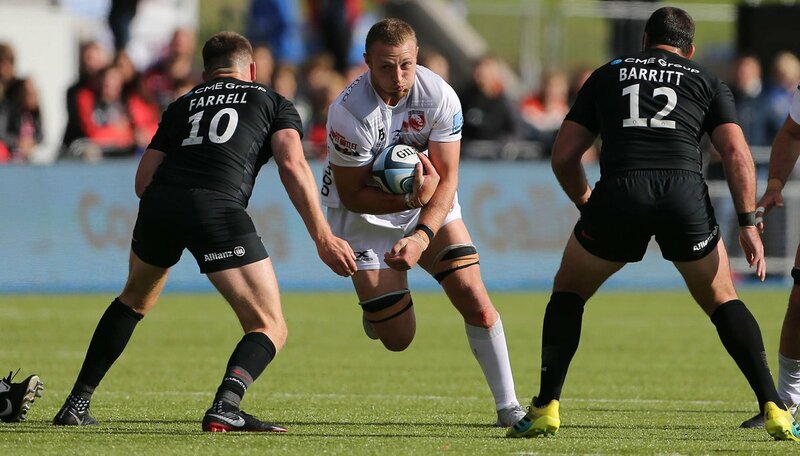 Saracens decide to make a substitution, with Richard Wigglesworth being replaced. The defensive line has been broken as Michael Rhodes goes through the gap. Saracens make a substitution with Schalk Burger coming on. Saracens make a substitution with Ben Earl coming off. Danny Cipriani has made 10 good tackles so far this game. Saracens sub Titi Lamositele comes onto the field. Vincent Koch departs for Saracens. Saracens have won 100 rucks so far this game. Richard Barrington comes on for Saracens. Mako Vunipola leaves the field. Josh Hohneck has made 10 good tackles so far this game. Owen Farrell does the business as his conversion attempt goes over. What a run here by Sean Maitland as they gets over the gainline!. Alex Goode played a key part in that try. A series of passes by Saracens results in a try for Sean Maitland. Jake Polledri has made 10 good tackles so far this game. Saracens have won 80 rucks so far this game. Saracens decide to make a substitution, with Alex Lozowski getting some game time. Saracens decide to make a substitution, with Nick Tompkins being replaced. George Kruis has made 10 good tackles so far this game. Saracens make a substitution with Nick Isiekwe coming on. Saracens make a substitution with Will Skelton coming off. Saracens sub Alex Goode comes onto the field. David Strettle departs for Saracens. David Strettle makes the break as the defence re-enacts the parting of the red sea. Saracens have won 60 rucks so far this game. Fabulous play by Gloucester has led to Danny Cipriani being able to wriggle through a gap. Ben Earl has made 10 good tackles so far this game. Maro Itoje has made 10 good tackles so far this game. Owen Farrell makes no mistake with that conversion attempt. Saracens are only a few metres out, surely they must score! And they do with Maro Itoje touching down. Freddie Clarke comes on for Gloucester. Lewis Ludlow leaves the field. Saracens have won 40 rucks so far this game. Billy Twelvetrees kicks the penalty. Trouble here as Danny Cipriani breaches the defence. Owen Farrell converts the try. That's a great try assist by Owen Farrell. The kick through from Saracens has allowed Maro Itoje to touch down. This is dangerous for the defence as Maro Itoje bursts through to advance the Saracens attack. Mako Vunipola has made 10 good tackles so far this game. A gap opened in the defence and Jason Woodward took full advantage. Saracens have won 20 rucks so far this game. Owen Farrell has kicked a conversion. Sean Maitland sets up the try. Great hands by Saracens leads to a try for David Strettle. The defensive line has been broken as Sean Maitland goes through the gap. Owen Farrell has kicked a penalty goal. RT @CHodgson10: Great day all round and top result for @Saracens, @rwiggy9 and @J_George2. Congrats lads. RT @bradbarritt: Great day at @Saracens to celebrate two special players and blokes! Huge congrats to @J_George2 on his 200th game! RT @premrugby: Smiles all round @Saracens 😄. A bonus-point victory lifts them to the top of the #GallagherPrem. Thank you for following this afternoon! “That game shows we are way off. 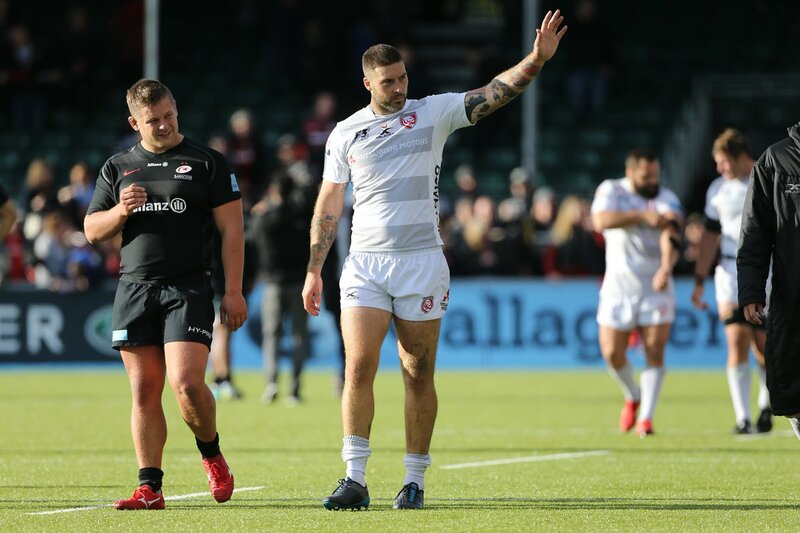 Saracens were brutal, and showed way they are champions. Thank you for your company this afternoon! 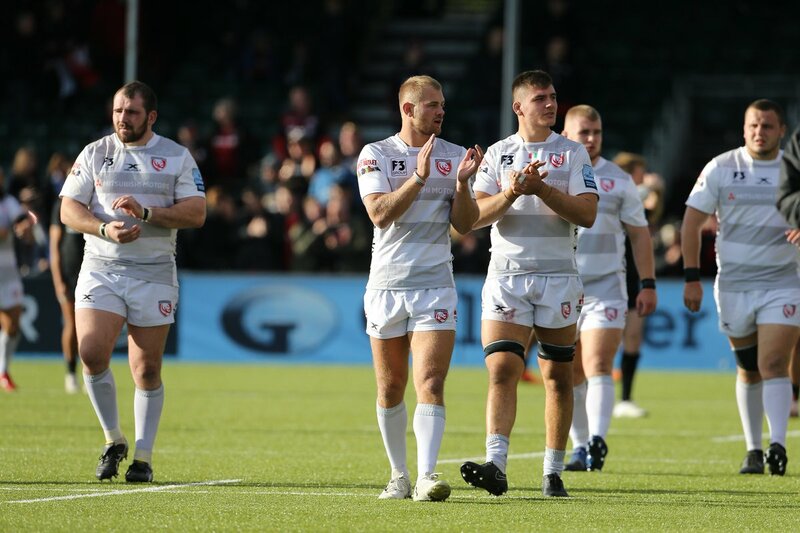 Congratulations to @Saracens who take the bonus point win. 40 | Last minute score for Sharples in the corner. Conversion is good. TRY! @CharlieSharples dives over with the last play. 72 | A show and go from Atkinson sees the Gloucester replacement go over for their first try. TRY! Atkinson show and go sees him break and score. 70 | Tompkins is back on for Barritt. 64 | Lozowski makes a beautiful break, offloads to Burger but the Springbok is held up over the line! 61 | Wigglesworth is replaced by Spencer.